Venus Dress https://www.review-australia.com/asia/venus-dress-midnight/RE19DR161.REBLK030.html You'll be the style star of the show in the Venus Dress. 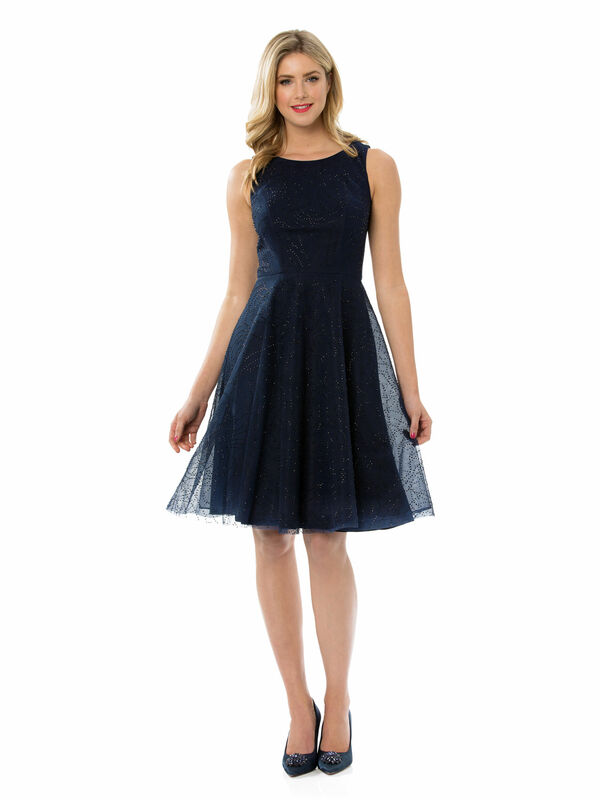 Modern with a touch of classic glamour, the beauty of this cocktail dress is in its simplicity. 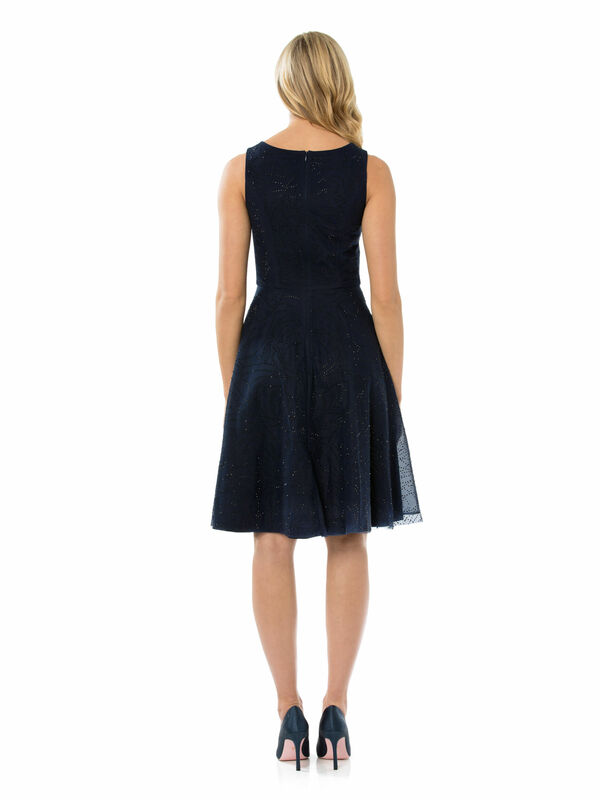 The sleeveless fit and flare style is crafted with a fine mesh outer layer studded with mini sparkling crystals in a chic swirl pattern. The dress has a midi length hem and a concealed back zipper.